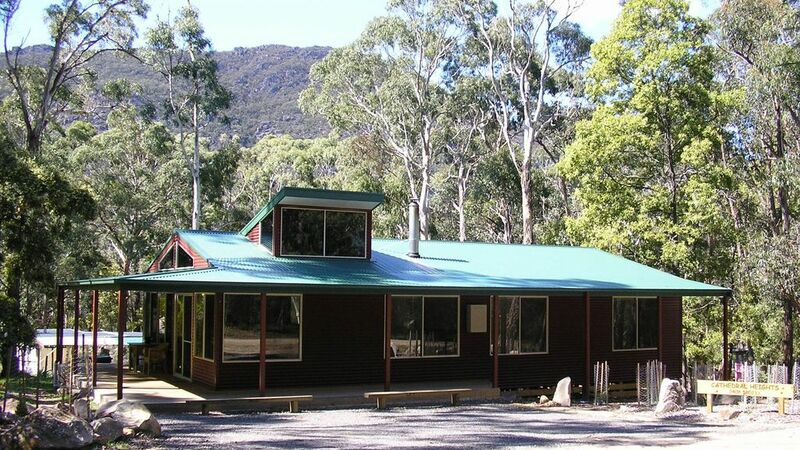 Use Cathedral Heights as the base so you can enjoy all Halls Gap has to offer. Ideal for a family holiday, Cathedral Heights has all the features of a 4 1/2 star rating home - 2 queen & 2 single size beds, spa, wood heater, reverse cycle air conditioning/heating, 42 inch digital TV, high quality furniture. We also manage the Halls Gap Hideaway which is a self contained 2 bedroom home about 600 away from Cathedral Heights which is ideal for 1 or 2 couples. - cycling - road cyclists will find steep classis climbs to destinations such as Mt William, Boroka and Reeds lookouts. Adventurous mountain bikers can explore the parks open public unsealed roads and 4WD tracks. There are also easy riding tracks in Halls Gap for the young kids. We have all grown up in Ararat which is about 40 minutes away from Halls Gap and the Grampians National Park. School days included completing the Duke of Edinburgh silver award that included hiking through the Grampians in year 11. We have spent many a school holiday since with our own kids and families exploring the Grampians. We have been providing quality, affordable accommodation since 2004. We saw the house as an opportunity to allow others to stay to appreciate everything Halls Gap and the Grampians has to offer. One of the major walks in the Grampians National Park is called the Pinnacle. One of Cathedral Height's great features is to sit on the lounge in the living room and see the pinnacle from the cathedral window. You can walk the Pinnacle during the day, come home to a spa bath and sit and reflect on a great days walk with a beer or wine. Situated in Halls Gap, the heart of the Grampians National Park, you can sit in the living room of Cathedral Heights and see one of the major icons of the Grampians - the Pinnacle. The kitchen is fully equipped with most things you would expect from your own kitchen. There is a Bluetooth sound system so you can enjoy your own music. Excellent property. Would highly recommend it. This house was a pleasure to stay in. Extremely comfortable and cosy. We loved the view through the top window. My daughter enjoyed feeding the cockatoos in the morning. Lovely cottage in a great location - close enough to the main part of Halls Gap but far away enough to get that nice secluded feel. We particularly enjoyed the cosy wood fire and excellent BBQ. Would stay again! Loved my stay here. Nestled in between blue gum trees with great views of the surrounding mountains and kangaroos feeding in the yard. The property was clean and has everything one needs for a comfortable stay. House very neat and well laid out. Pleasant walk into town along walking track, a great base for exploring the area. Great house, would highly recommend. Great house, clean & tidy, well equipped kitchen, beautiful views from all windows, wildlife at the doorstep! Cosy house. Everything the family needed. Nice and peaceful. Cosy warm house with everything our family of four needed. Enjoyed the wildlife at our doorstep and cosy fire at night. Great place to come home to at night after exploring the local area. Great communication with the owners. Would book again. Cathedral Heights is situated in Halls Gap which is the "capital" town of the Grampians National Park. The park is one of Victoria's most popular holiday destinations. The Grampians is a series of rugged sandstone mountain ranges and forests rich in wildlife. There are a network of walking tracks throughout the park that allows you to explore cascading waterfalls, brilliant spring wildflower displays and panoramic views from lookouts. Drive to Reeds and Boroka lookouts for spectacular views or visit the magnificent McKenzie's falls. You will need more than a weekend to appreciate everything Halls Gap and the Grampians has on offer.